This year The CCI FRANCE CHINE South China has celebrated the Beaujolais Nouveau 2018 with its new concept. 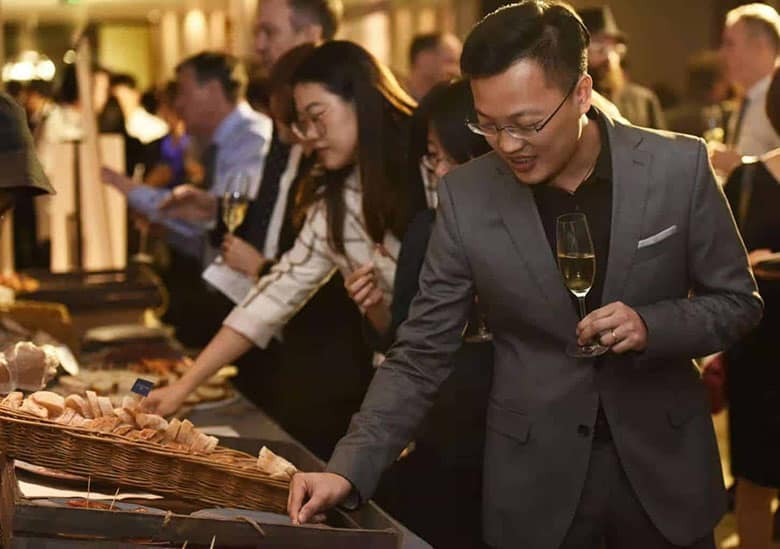 The first Gala & Beaujolais Nouveau in Guangzhou has been successfully held on Thursday, November 15th at the Four Seasons Hotel in Guangzhou, followed by the traditional Beaujolais Nouveau in Shenzhen on Friday, November 16th at Shenzhen Shangri-La Luohu Hotel. Almost 500 guests in Guangzhou and around 350 in Shenzhen attended these exclusive events including Mr. Javier GIMENO, President of CCI FRANCE CHINE and CEO of Saint-Gobain Asia-Pacific; Ms. Siv Leng CHUUOR, General Consul of France in Guangzhou and Ms. Caroline PENARD, General Manager of CCI FRANCE CHINE. This exceptional festival, under the sign of conviviality, has mingled pleasantly wine tasting, dinner-spectacle, fashion show, beautiful live music and of course, the discovery of Beaujolais Nouveau 2018. 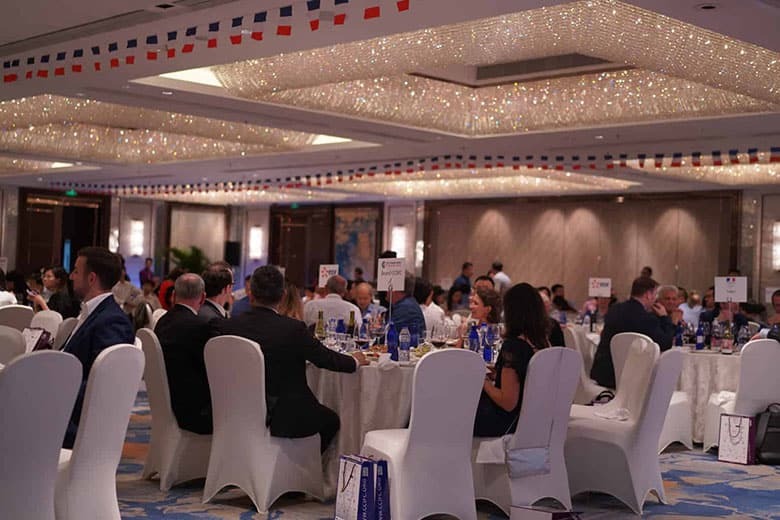 Assembled around the tables, many enterprises, international firms and SMEs joined in these 2 events in South China which remained a great opportunity for both Chinese and French communities to represent their industry and exchange efficiently. Very thankful to our support partners as Four Seasons Hotel Guangzhou, Georges Duboeuf, Shangri-La Hotel Shenzhen, Peugeot Saveurs, Pierre & Vacances Center Parcs, Wine Magazine, Alliance Francaise Canton, EDF, Gac-Sofinco Auto Finance, iBorn Women’s & Children’s Hospital, Live Group, ISD Group, Olmix Group, Weber Saint Gobain, Slow Life, BOLLORE Logistic, Creative Capital, ESMOD Guangzhou, CYTS, Forsee Power, Kraemer, Parishine-Boway, People&Kids, Residence G, 21 cake, Singlelife DS, SKEMA, Accor hotels, COCINA, Confee, ECHO, FB Solution, Fuel, HarMoniCare, JunZeJun Law Offices, La Medina, Le MERIDIEN, Creperie chez Maggy, New Row, Perma, Peugeot Open Europe, PLS Group, le Sainte MAXIME, Vista, Wilber’s Restaurant, as well as our media partners and volunteers. And great thanks to all the participants. This Beaujolais Nouveau 2018 was really successful in Guangzhou and in Shenzhen.